Narcissism is the pursuit of gratification from vanity, or egotistic admiration of one's own physical attributes, that derive from arrogant pride. The term originated in Greek mythology with Narcissus, who fell in love with his own image reflected in a pool of water. Narcissism is a concept in psychoanalytic theory, introduced in Sigmund Freud's On Narcissism. The American Psychiatric Association has the classification Narcissistic personality disorder in its Diagnostic and Statistical Manual of Mental Disorders (DSM). 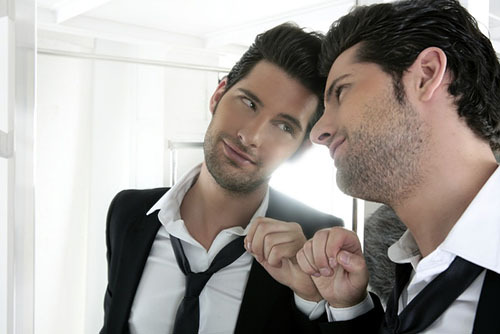 Are you a narcissist? Turns out, one question could reveal the tendency to think the world revolves around you. People who have an inflated sense of self will readily admit they are narcissists if they're asked just one straightforward question, a new study suggests. "Narcissists aren't afraid to tell you they're narcissists," said study co-author Brad Bushman, a communications and psychology professor at The Ohio State University. "They're not embarrassed about it at all. People with a classic narcissistic personality tend to have an overinflated sense of self, an exhibitionist streak, a sense of entitlement and little empathy for others. People in Western countries rate higher on narcissistic traits than do those in Eastern nations, and millennials - people born between the early 1980s and early 2000s - are more likely to be self-centered than previous generations, at least in the United States, Bushman said. "The self-esteem movement, I think, is a big part of that," Bushman said. "Also, I think social media provides a venue for people to project themselves to very large audiences." Being egotistical can have its uses, at least in the short term. For instance, overconfidence can help people land a job or attract a partner, and some studies suggest that narcissists make good leaders. But in general, narcissists aren't doing anybody any favors with their overinflated sense of self, Bushman said. For the arrogant and self-absorbed, "if you already think you're great, then you're not going to try to improve yourself," Bushman said. And because narcissists show less empathy, they aren't going to be good for the people in their lives, he added. "I prefer to blend in with the crowd" (non-narcissistic response) versus "I like to be the center of attention" (narcissistic response), or "The thought of ruling the world frightens me" versus "If I ruled the world, it would be a better place" (narcissistic response). In the new study, which is detailed today (Aug. 5) in the journal PLOS ONE, researchers looked at 11 published studies of 2,200 people who were quizzed with the more extensive survey. The team found that the answer to one question was strongly correlated with their overall score on the longer test: "To what extent do you agree with the statement, 'I am a narcissist'? (Note: The word "narcissist" means egotistical, self-focused and vain.)." Participants had the option of rating their agreement on a scale of 1 (not very true of me) to 7 (very true of me). 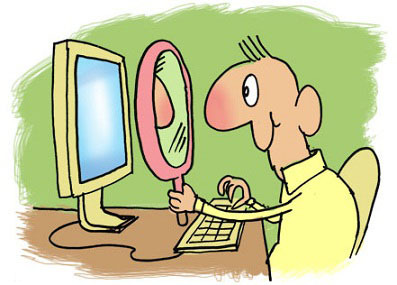 Since narcissism is a continuous dimension, rather than dichotomous (i.e., two answers: narcissist or not a narcissist), there was no cutoff for whether a person was or was not a narcissist, Bushman said. The score just reveals where one would fall along a spectrum compared with others in the population. The new study suggests that researchers who are pressed for time or doing a much larger study can include this simple question in their research if they want to get a rough gauge of narcissistic traits. The question couldn't be used to diagnose narcissistic personality disorder, which is a psychiatric condition in which narcissism negatively impacts someone's life, Bushman said. The new findings aren't terribly surprising, as similar one-question surveys have been found to work for self-esteem, said W. Keith Campbell, a psychology professor at Georgia State University, who was not involved in the study. 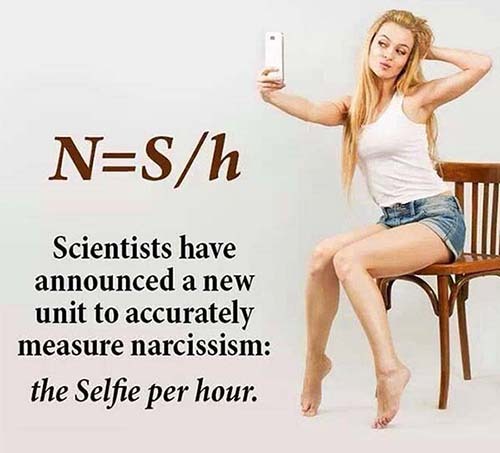 "There is some evidence in the literature that people who are narcissistic are self-aware," Campbell told Live Science. "That's why some of the self-assessment measures work."